Have You Left Your Important Documents Unprotected? Home / Emergency Restoration Blog / Have You Left Your Important Documents Unprotected? When property owners imagine the effects of a disaster striking their property, they tend to think of the structural damage that can result. But often, it’s the less visible damage that can cause problems long-term—such as the loss of important documents, photographs, and other paperwork. Documents can be easily lost during a fire, flood, storm, or other emergencies—unless they are properly protected ahead of time. Make a contents recovery and management plan now so you can keep your documents safe when trouble strikes. Here are four steps to help you do so. Step 1: Include your paperwork in your disaster planning. Many homeowners and commercial property owners engage in some degree of emergency planning—whether it is buying appropriate insurance, ensuring everyone is familiar with emergency exits, installing fire extinguishers, and even investing in emergency restoration management for your home or commercial property. Include your paperwork in your planning. Your important documents help you access your finances, pay bills, prove your identity, file insurance claims, and other essential activities. And it can be stressful and difficult to track down important information in the aftermath of a disaster. Assess how you store documents now and look for ways to protect them. Even basic changes, such as keeping papers off the floor in case of water damage or stored in a fireproof cabinet in case of fire, can make a difference. Step 2: Identify your most valuable records. While you might not miss those old college notes or the junk mail you didn’t get around to shredding, other paperwork is valuable, even irreplaceable. Many documents are essential for legal purposes and the filing of insurance claims. Anything else you cannot live without—The list of documents you need to protect is long, and it is also highly personal. There may be other items of value to you, including collectible cards, books, photos, sentimental writings, family records, and personal journals. Step 3: Make copies and plan storage wisely. Use secure offsite storage—A bank’s vault or a safety deposit box can be ideal locations to keep original documents (and other valuables). You can always keep a copy at home or the office if needed, but be sure the originals are secure. Make digital copies—Scan vital documents and store them safely offsite by using an external hard drive, flash drive, or secure online cloud storage. You might also email the scans to yourself so you can access them from anywhere. Create regular backups—If you use electronic documents for your business or home, be sure to perform backups as often as necessary to save new information. Use disaster-resistant filing cabinets—If you need to keep important documents onsite, don’t leave their safety to chance. Invest in cabinets or safes that are resistant to fire, water, and impact-related damage. 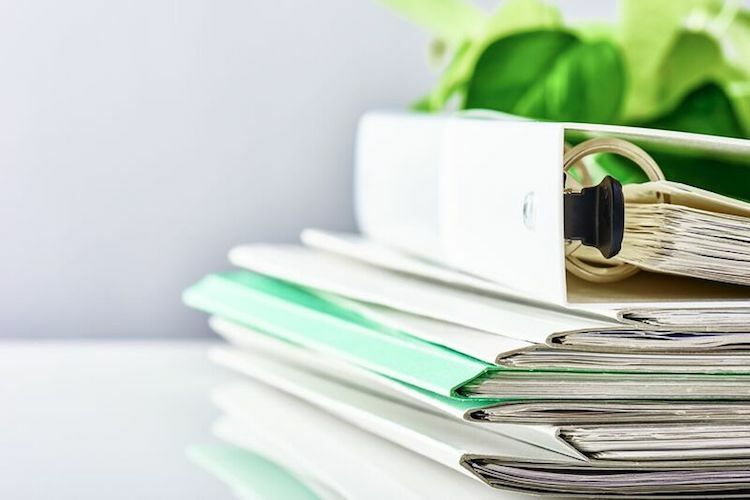 Make it portable—Your most important physical documents should be kept in one location, ideally in a secure yet portable box so you can just grab them and go in case of an emergency. Step 4: Evaluate and upgrade your property to make it more resistant to disasters. Exterior—Inspect the outside of your property and address areas that can insulate it from the elements. Replace old or damaged siding. Secure loose roof shingles/tiles. Ensure gutters and drainage are clear and working. Trim tree branches. Interior—Inspect the inside of your home or commercial property for signs that a problem may be imminent. Look for leaking pipes, moisture damage, and mold. Replace old wiring. Make sure flammable objects are used safely. At TRILINK , we have not only helped hundreds of Oklahoma City area homeowners and property owners recover after a disaster—we’ve faced the aftermath of a tornado on our own property too. We understand how important it is to act quickly to address any damage you may be facing, so you can limit its impact, start the process of recovery, and get your life back to normal—fast. Contact us today about establishing a plan for contents recovery and management before you face an emergency. And if a disaster strikes your property, our state-of-the-art facility is equipped to preserve and restore your documents and other valuable belongings that need attentive loving-care.